Product categories of Printing Rubber Roller, we are specialized manufacturers from China, Printing Rubber Roller, Flexo Printing Rubber Roller suppliers/factory, wholesale high-quality products of Rubber Roller For Printer R & D and manufacturing, we have the perfect after-sales service and technical support. Look forward to your cooperation! Power Company adopts various special glue stock made in USA and Germany to manufacture industrial robber rollers. For printing industry, there are alcohol plate moisturizing Rubber Roller, UV inker, rubber roller transmitting and sparing ink. For plastic, composite membrane, textile, printing, tin plate printing, food, wood, hollow glass and deep processing of iron and steel, we provide special purpose glue stock with unique performance of high temperature resistance, acid and alkali resistance, organic solution resistance and abrasion resistance. 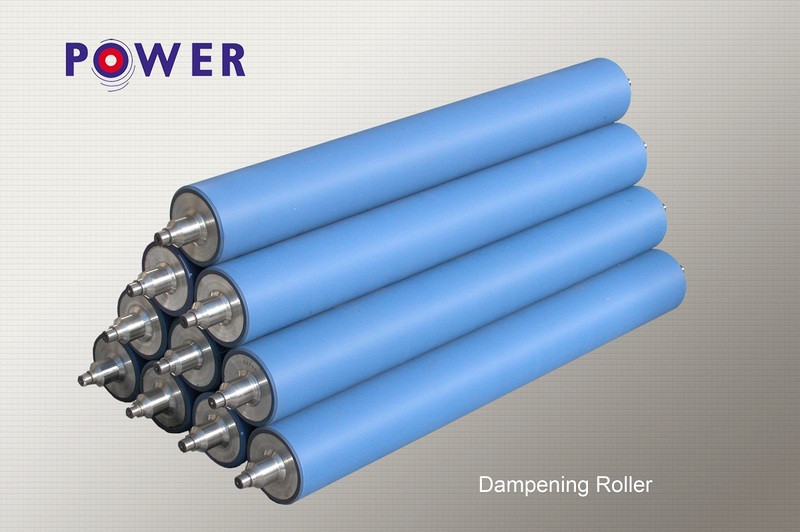 With the attitude of being professional and sincere, Power Company produces high-quality Rubber Rollers closely following sci-tech requirement of the times. You can be assured that each product is of reliable quality, for we are extremely strict with the production processing of rubber roller. Various working procedures have been added to ensure most reliable quality. With the tenet of quality first, clients the highest, Power Company provides to you all-round services of rubber rollers, e.g., re-rubbering of shabby rubber rollers, mapping and manufacture of new base gum and corollary services for equipment manufacturers.